"Before Paula's announcement the producers of her show, Gordon Elliott's Follow That Productions, had delivered enough shows to run until the end of 2012. None of the shows address her bombshell statement and none of the shows make any attempt to change the way she cooks, even though they obviously knew what was going on when she filmed them." Another network insider added that Deen's representatives don't plan on re-editing the already-filmed shows or making any changes, saying, "As far as they're concerned, they have met their contractual obligation and have moved on." The insider says that the Food Network has hired a crisis PR company to figure out next steps, with or without Deen. 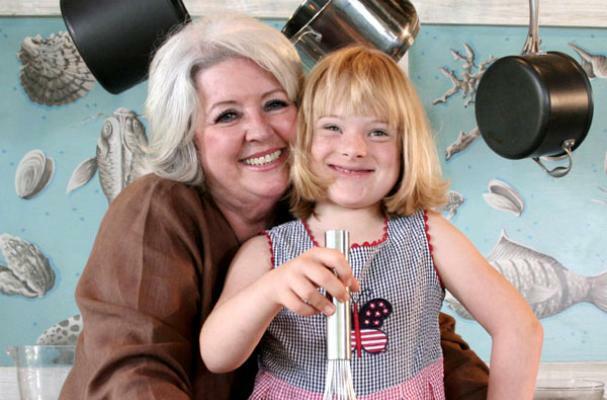 Paula Deen has become a Food Network icon for good reason. Her unabashed love of butter and penchant for cooking Southern comfort food inspires nostalgia in viewers, and she provides an endless buffet of rich culinary inspiration. Her warm, sunny personality and signature laugh make Deen even more lovable. Perhaps that's why many fans rebelled after Deen announced on the "Today" show that she had Type 2 diabetes, has had it for three years, and was teaming up with Novo Nordisk for a website called Diabetes in a New Light. They felt cheated, lied to, led on. The pharmaceutical partnership made her son Bobby Deen's new Cooking Channel show, "Not My Mama's Meals," feel like an afterthought: why wasn't Deen cooking with her son? Food bloggers have many reasons to follow this story and its fallout. Already, it's raised questions. Should comfort-food bloggers take up the charge many hoped Paula Deen would and focus on healthier versions of their favorite foods? Should healthy-food bloggers integrate "comfort" foods into their repertoire? Do food bloggers have an ethical responsibility as influencers to turn America on to healthier diets, or help them along in their quest to do so? Is there still room in the niche of abundance, excess and decadence, a la "Man v. Food"? Here are a few ideas for food bloggers to respond to Paula Deen's Type 2 diabetes diagnosis. Experiment with healthy substitutes for classic foods. If you currently specialize in rich, decadent comfort foods, start a weekly series wherein you tackle one of your favorite recipes and make it healthier, more local or more homemade. Bloggers who focus on healthy eating can get in on the act as well by reworking a classic comfort food in a way that meshes with your dietary practices. Share these substitutes or new cooking techniques with your readers so they can try them at home. Let your readers learn with you. Embark on a mission to eat healthier and let your readers follow along as you learn to cook your favorite foods in a new way. Want to lose weight? Cut out sugar? Go vegan? Learn to read food labels? Adopt Meatless Monday in your household? Make bread from scratch? All of these options offer boundless opportunities for valuable content that engages your community. Keep food personalities accountable. Sure, not every TV personality wants to travel the world spreading the message of healthy eating as Jamie Oliver has done, but our ever-expanding waistlines in the U.S. -- not to mention new shows like "Fat Chef" -- allude to a larger problem. Deen is squandering a valuable opportunity to teach her millions of fans how to indulge wisely in foods they've probably grown up eating, and food bloggers have a voice to force the Food Network's hand. Emphasize moderation and offer substitutes with your recipes. Many food bloggers already proactively add healthy substitutions to their recipes to accommodate allergies, intolerances or other dietary needs. In a world where 25.8 million people suffer from diabetes, recipe bloggers should offer healthy options for readers to consider alongside standard recipes. Start conversations on food ethics and politics. The underlying current that runs through the Paula Deen diabetes controversy is that there isn't a right answer. We don't have an ironclad strategy to solve obesity and diabetes; there isn't a single way to change the country's eating habits. What we can do as bloggers is talk about these issues with our online communities, invite debates and differences of opinion, and let readers decide on their own where their beliefs lie. What do you think about food bloggers' role in the ethics of diet and health, or how Paula Deen's diabetes diagnosis has divided the food community? Mrs. Deen offers a certain style of cooking. It takes common sense to understand that one should have a balanced diet. Eating Deen recipes once in a while will not cause Diabetes. Paula Deen's failure to expose her diabetes and teach her audience that her recipes should make up at most a miniscule portion of an overall diet is a cynical moral failure of the first water, whether it was the doing of Deen, the Food Network, or both. The five suggestions are all worthwhile but, unless there is some sort of cultural about face, America's addiction to the cult of personality threatens at the very least to slow down if not doom any large scale attempt to have people do the right thing. Another positive thing bloggers and tv personalities could do would be to provide nutritional information for their recipes por at least a link to that information. Good lord people...how about a little personal responsibility? What Paula Deen cooks or eats cannot effect anyone but PAULA DEEN...unless someone makes a CHOICE to cook and eat it themselves. Stop being such lemmings! She's diabetic? I'm sorry to hear that, but those are the consequences of her choices. When did she come out and say on her show, "I'm diabetic, and this is how all diabetics should eat!" ??? Why would anyone assume that she's qualified to give that kind of nutritional advice, anyway? Neither Paula, nor McDonalds, nor RJ Reynolds is holding a gun to anyone's head! We need to stop whining , and pointing fingers, and trying to find someone else to blame (and, likely, sue) for our bad decisions! OUR eating habits make us fat, OUR smoking gives us lung cancer, OUR overspending and sense of entitlement put us in debt. I agree with Steve about the "the cult of personality". Stop expecting someone else to role model your life for you. YOU be your role model! Okay, taking my pedestal and going back to my bunker, now, lol. Well said Mr Perkins, can I join you in the bunker! You bet, plenty of room! Bring your own ammo, and stay out of my twinkies! Be honest - that's the best way for food bloggers in general, never mind Paula Deen! I like that you give food bloggers some "actions" instead of just giving them reason to complain. But to do a little complaining myself...there are 2 aspects of the Paula Dean issue that really get under my skin: 1) she waited an obscenely long time to reveal her diabetes - and meanwhile was getting richer and more famous professing her love for high calorie, fatty food. 2) she partnered with a drug company, rather than an agency that promotes healthy living/healthy eating, to launch her new campaign. Doesn't she have enough money already?! If she really wanted to help Americans find a place in their diet for all kinds of food - both butter-laden and not - she'd approach this whole thing differently. What kind of role model promotes drugs over vegetables? !